Never underestimate the importance of social media and news coverage of startups. The buzz matters. There’s a new startup born every minute. Some are media-friendly and appear to be relevant through various channels, even if they are not. Some might be in trouble, but they do a good job of spreading cheer about their milestones. It’s a science to dive into various sources to see the latest news about startups. Being “fresh” is what it’s all about — in reference to the meter rating system created by Rotten Tomatoes. Rotten Tomatoes has succeeded by posting a single score. This score derived from complex algorithms has a huge impact on consumers’ minds. It paves a movie’s path toward commercial success or failure. For the most part, I agree with this scoring system since it factors authentic critic evaluations. There are many sources to measure a startup’s media impressions, beginning with the most obvious. I judge a startup’s current relevance by conducting a simple google news search. It usually takes less than 10 seconds. For example, look up a startup called UtilityApi. The “news” results show the landing page immediately along with a curated mission statement. They have a recent news article on 11/29 and maintain an active Twitter feed. 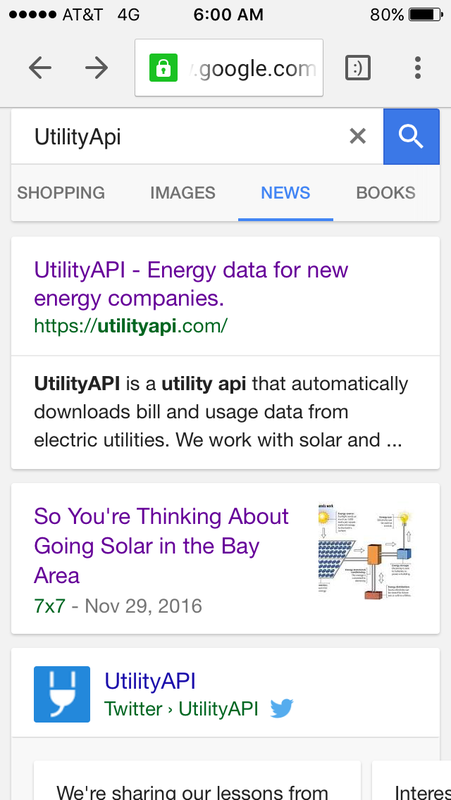 UtilityApi is doing their homework to get noticed. And they look very relevant. Sometimes getting noticed is as important as getting started. If there’s nothing currently happening with your startup according to Google or Twitter, then you are not doing your homework.